Remember when we used to look up phone numbers in a phone book? (the one actually made of paper) Or having to talk to travel agencies to book flights? Whether it’s organizing your to-do’s and your social life, playing games, broadcasting your daily wisdom to the world (140 character or less), or finding your location on a strange city, apps and smartphones have proven to be quite useful in our daily lives. As the saying goes “there’s an app for that”. Apps can be especially useful when you are travelling. Nobody wants the hassle of having to take out their laptops at the airport, hope for a decent WiFi connection, and a charging station, just to go online. Smartphones and apps are a quick and convenient way of accessing vital information for travellers. So here are 5 excellent apps that you may want to have on your smartphone on your next travel. Do you get stressed and disorganised every time a trip is approaching? Congratulations you re just like 90% of the population. Luckily Trip It is designed to help you out in that area, by organising all of your confirmation emails into one place. You can even forward your itinerary via email to plan@tripit.com, and Trip It organizes all the details on your behalf. Frequent flyers may even benefit from downloading Trip It Pro for $49/year. So you can have a panic attack about the actual flight in relative peace. The trouble with airports is that so many things are happening at once, you can lose track of the most important details. Flight+ helps you out as a real-time flight tracker. If you are having trouble making sense of the arrivals board, and knowing when to board the plane, you can find out on Flight+. From delays, seating charts, gate changes and departures, you have everything you need to know in one place. This app is $2.99, and is available on the iPhone, iPod Touch and iPad. 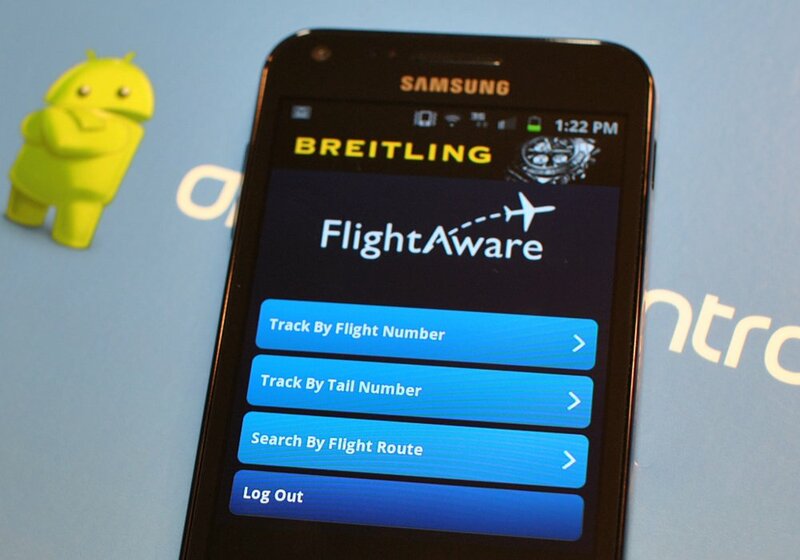 I you can’t (or don’t want to) spend for Flight+, or you don’t own an iOS device, there is a free alternative known as FlightAware, that’s available on Android through a web browser. It’s essentially the same type of app, the only real difference is the speed it works at. Flight+ is real-time. FlightAware has a slight delay, but it is still extremely handy, if you want to know what’s happening with your flight. Simply type your flight code in, and you’ll receive the most up-to-date information it can provide. Lacking a personal sense of direction used to be a real hindrance. This is especially true once you set foot in another country. The Everytrail GPS application is good for guiding you around, so you’ll never get lost again. Well, unless you can’t read maps. The app offers a handy street map, with a graphical compass, places of interest and road names. The app will even tell you how long it takes to get from Point A to Point B. Everytrail GPS is a free download, and should work on most phones. If you get unexpectedly stranded in an unfamiliar place, you’ll need to find a place to stay. Hotel Tonight is a free app that gives you details on last-minute reservations. Perfect for Android and iPhone, it tells you which hotels are near-by and the cost for you to stay at the last minute. The app is also frequently discounted, making it more affordable for the stranded traveller. Author Bio: Jimmy Wentz is a budding freelance tech writer, gadget and gaming enthusiast. He writes regularly about O2 and the latest developments in the tech, mobile, and gaming world.